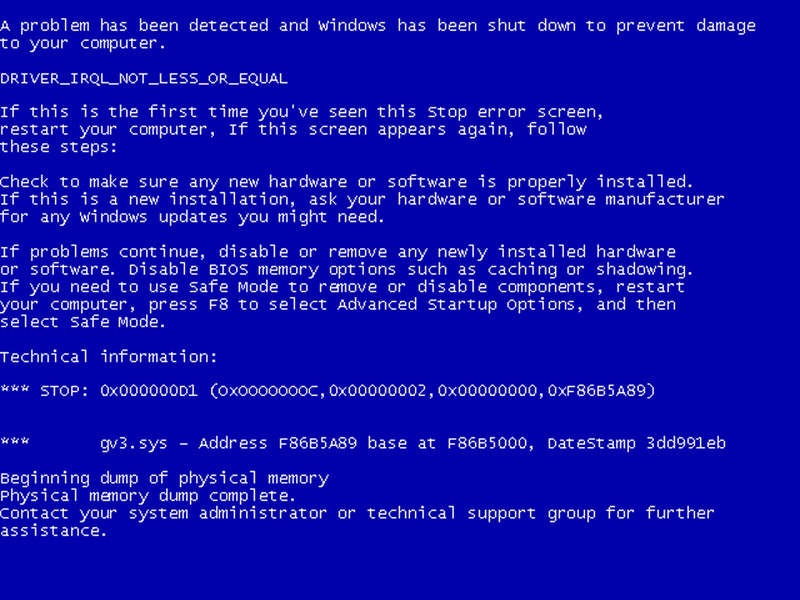 You have just been struck by the Blue Screen of Death. Anyone who uses Microsoft Windows OS will be familiar with this. What can you do? More importantly, how can you prevent it happening? 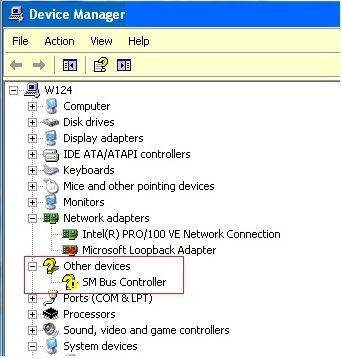 Often if a device has a problem a yellow ‘!’ appears next to its description in the Device Manager (see Image 2). Highlight Computer (in the Device Manager) and press Properties to see the IRQ numbers used by your computer. If the IRQ number appears twice, two devices may be using it. A virus scanner requires a list of virus signatures in order to be able to identify viruses. These signatures are stored in a DAT file. DAT files should be updated daily from the website of your antivirus software . If the printer is trying to print unusual characters, these might not be recognised, and can crash the computer. Sometimes printers will not recover from a crash because of confusion in the buffer. A good way to clear the buffer is to unplug the printer for ten seconds. Booting up from a powerless state, also called a cold boot, will restore the printer’s default settings and you may be able to carry on. The System Registry can be corrupted by old references to obsolete software that you thought was uninstalled. Use CCleaner clean up the System Registry and remove obsolete entries. Often a Windows problem can be resolved by entering Safe Mode. This can be done during start-up. When you see the message “Starting Windows” press F8. This should take you into Safe Mode. A power surge or spike can crash a computer as easily as a power cut. If this has become a nuisance for you then consider buying a uninterrupted power supply (UPS). This will give you a clean power supply when there is surge, and it will give you a few minutes to perform a controlled shutdown in case of a power cut.